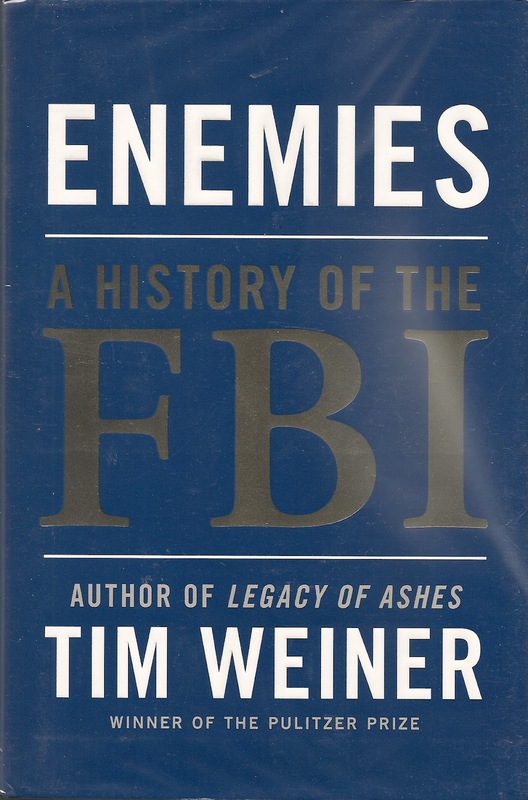 From the author of “Legacy of Ashes”, a book which crashed onto the scene in 2007; an extensive history of the Central Intelligence Organization which won the National Book Award; comes this fairly written, and highly researched book about the history of the Federal Bureau of Investigation. 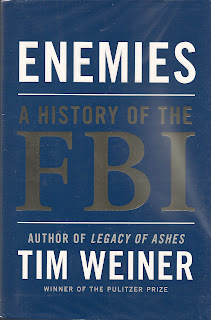 The book begins, as any such book must, with an examination of its longtime director, J. Edgar Hoover. From there the authors goes on to chronicle the Palmer Raids and the beginnings of the violent era of labor unrest that swept the nation, beginning with the Black Tom explosion on New York’s busy wartime waterfront during the early years of the First World War, then moving on through the 1920’s and the explosion on Wall Street of a dynamite laden cart at the height of rush hour. With the 1930’s, and end of Prohibition, came new challenges, particularly on the left, where the Communist infiltration was both feared, and yet, to some extent overrated. As the Depression drew to a close, the agencies attentions, still under the watchful eyes of J. Edgar, were called upon to aid in the war against America’s so-called “fifth columnists”, people who would subvert the cause of freedom from within. Wiretaps, without authorization, were the “norm”, as was opening personal mail in a way which went beyond ordinary censorship, in which your envelope has obviously been opened, and then stamped by the individual who read it. Instead, the agency learned the art of opening select messages on the sly, an art which would later be employed during both the McCarthy Era, as well as the Anti-War days of Vietnam. The end of World War Two brought even more to the Bureau’s table, as the nation began its painful growth period coming to terms with the Civil Rights movement. The author successfully records the tension between the Bureau and the President over the Freedom Rides, as well as their subsequent failure in the Kennedy Assassination; becoming, to a certain extent; a tool of the CIA for the first time. This would prove telling both during, and after Watergate, as the CIA helped to bring down the President, with the FBI standing helplessly by. The author takes the reader on a step by step journey through the internal power struggles which ensued upon the death of J. Edgar Hoover, who had been granted Federal Authority to reign for life. Through the Union busting days of the 1980’s and even on into the 21st Century and the attacks in New York and Washington, the author traces the role of the Bureau in America today. Fully researched, with a complete section of notes and sources, listed chapter by chapter, this is a good book. Though it offers no great new insights, it does serve as an excellent chronicle of what we do know.